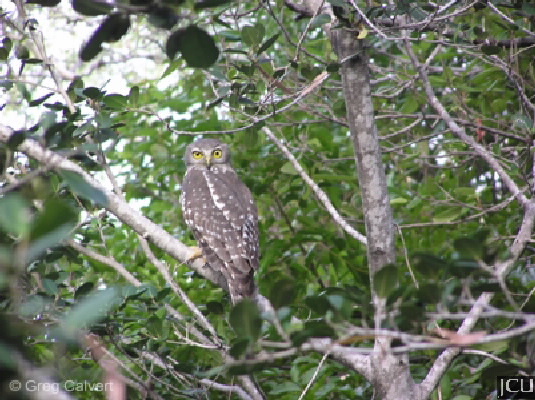 This bird is active at night and can often be heard calling particularly along Ross River but is also on campus. The male is slightly larger than female. Body upperparts dark grey to brown with some white spots on the wings and lower back, underparts streaked with grey-brown and white. Legs and feet dull yellow, eyes large yellow, almost no facial mask, bill grey.